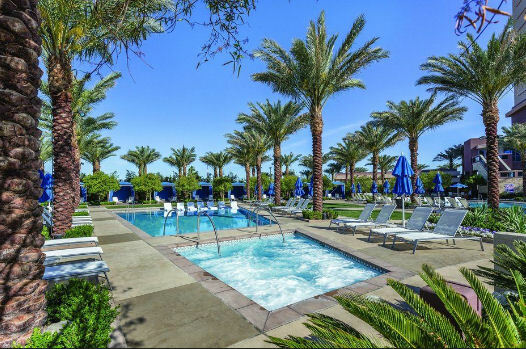 7 Night Stay in a Studio Unit at the Wyndham Desert Blue! 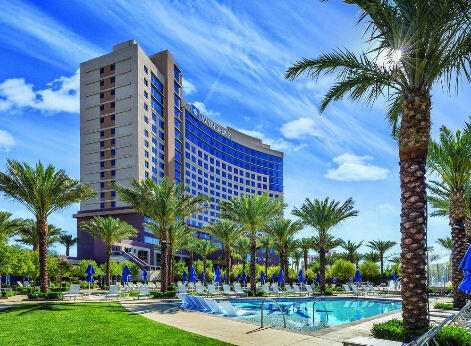 Wyndham Desert Blue - Las Vegas, Nevada - Buy a 7 Night Stay in a Studio Unit! 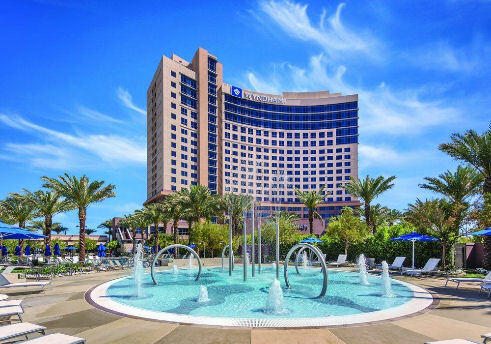 Enjoy 7 Nights at the Wyndham Desert Blue in Las Vegas, Nevada! A premier playground for all ages. 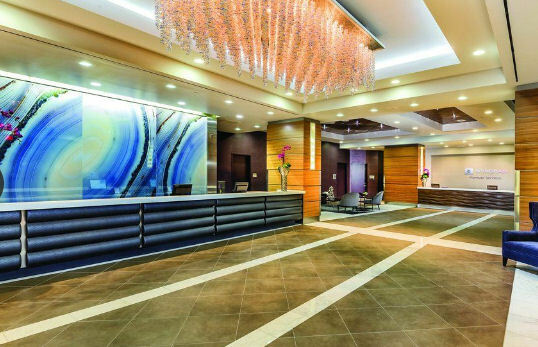 Combine the convenience and stature of an urban luxury hotel with all the space and amenities of an elite resort, and then set it down in the heart of one of the world’s most dynamic destinations. The end result would be Wyndham Desert Blue, a striking resort with comfort and fun built right in. With an ideal location just off the world-famous strip, it’s the perfect place to stay while you create your own brand of fun in the glitz and glamour that is Las Vegas. Take a short ride and you’re right there, ready to experience the extraordinary themed architecture, magnificent buffet-style dining, acres of colorful casino fun and some of the best nightlife and shopping you will find anywhere. Old Downtown is a great way to get a sense of what Las Vegas used to look like and the light show on Fremont Street is not to be missed. For a change of pace — and scenery — rent a car and head up to Mt. Charleston, take a tour of the Hoover Dam, visit Red Rock Canyon or try water sports on Lake Mead. 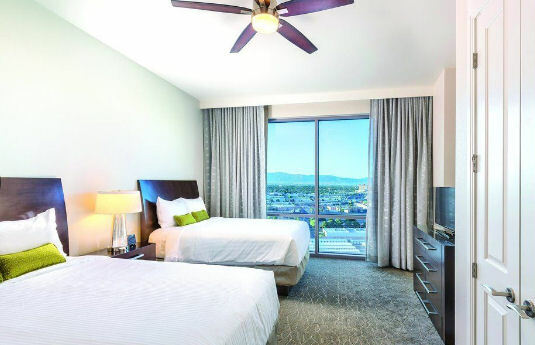 Your choices are endless in the city that never sleeps.From every unit and even the elevators, you’ll be able to catch a glimpse of the world-famous Las Vegas Strip.This family-friendly aparthotel is located in the city center, within 1 mi (2 km) of The Linq, High Roller, and The Auto Collections. The Las Vegas Convention Center and Fashion Show Mall are also within 3 mi (5 km). These residential Las Vegas accommodations are like having your own apartment right off The Strip. Dining areas come with a large table for plenty of room to spread out, a large refrigerator, stove, coffee maker — and even wine glasses are there for you! Think of how much money you'll save; dining out three meals a day is no longer a necessity. All Units have a large-screen TV, DVD player and even video game systems. Plus, you'll have the convenience of a washer and dryer so you can pack light and save more money on extra airline baggage charges. Your Studio comes with a partial kitchen and will accommodate up to 4 people. The Following Check-in Dates are Available in a Studio Unit!